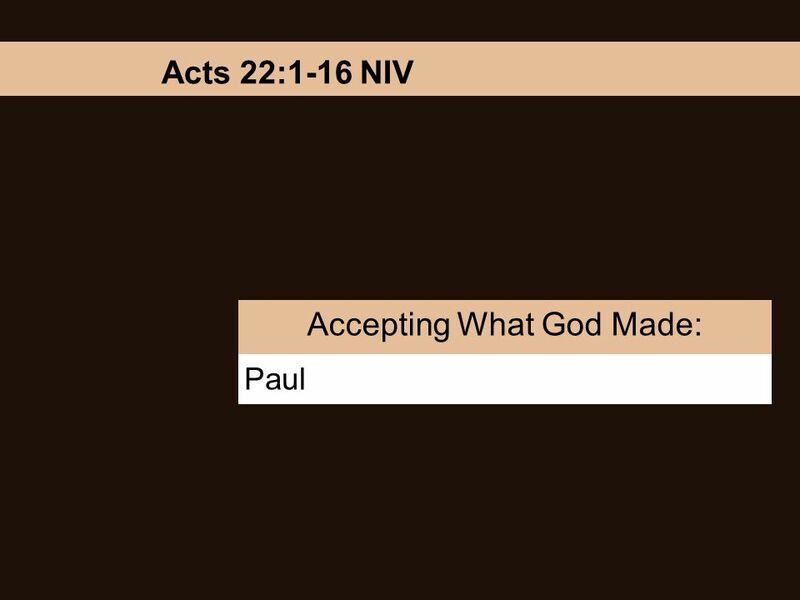 Paul Accepting What God Made: Acts 22:1-16 NIV. 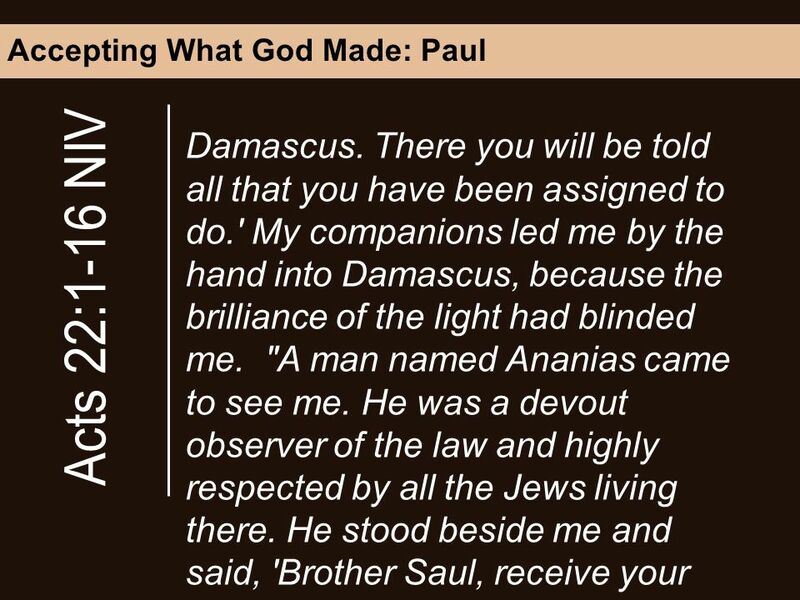 Accepting What God Made: Paul "Brothers and fathers, listen now to my defense." When they heard him speak. 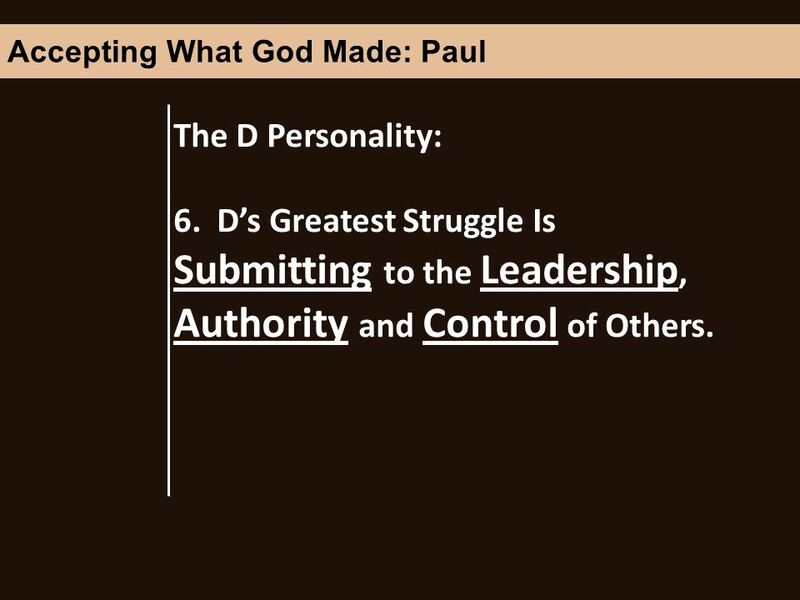 3 Accepting What God Made: Paul arresting both men and women and throwing them into prison, as also the high priest and all the Council can testify. 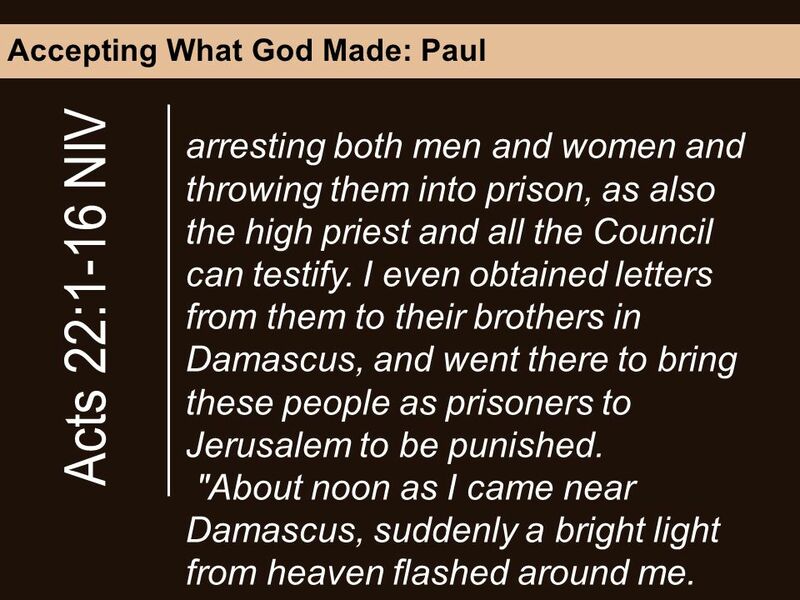 I even obtained letters from them to their brothers in Damascus, and went there to bring these people as prisoners to Jerusalem to be punished. "About noon as I came near Damascus, suddenly a bright light from heaven flashed around me. 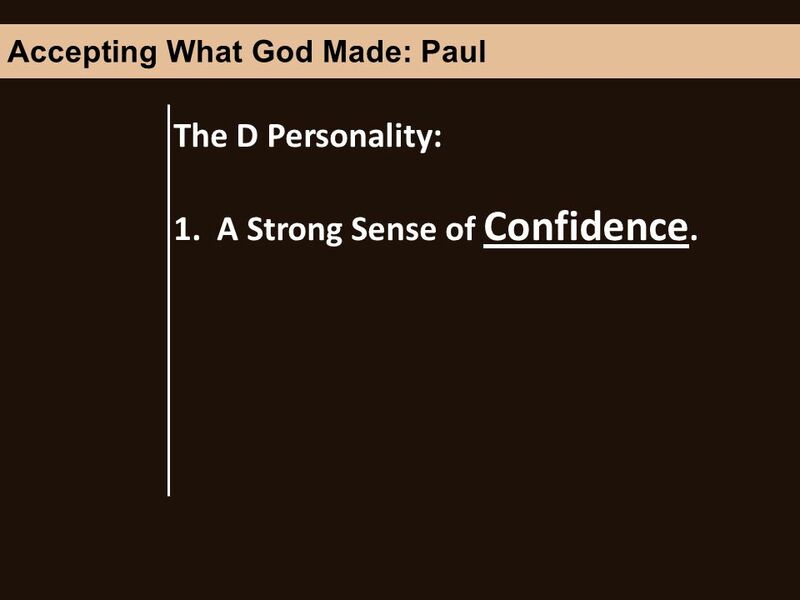 Download ppt "Paul Accepting What God Made: Acts 22:1-16 NIV. 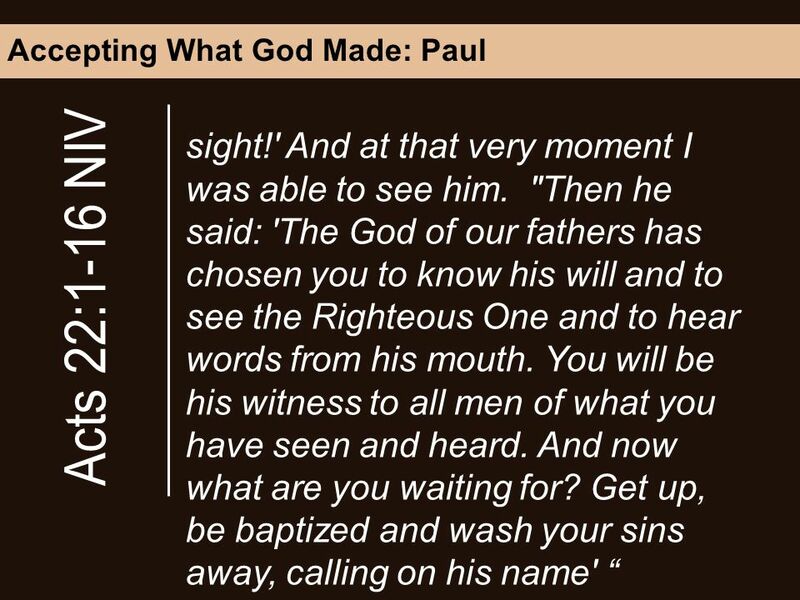 Accepting What God Made: Paul "Brothers and fathers, listen now to my defense." When they heard him speak." 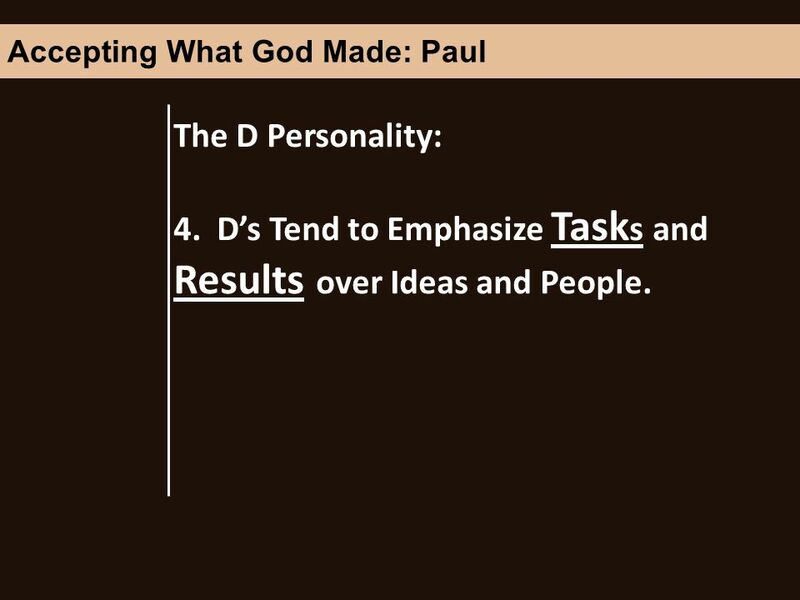 ST. PAUL. Paul was born at Tarsus in Cilicia. He lived around the time of Jesus but never met Him. 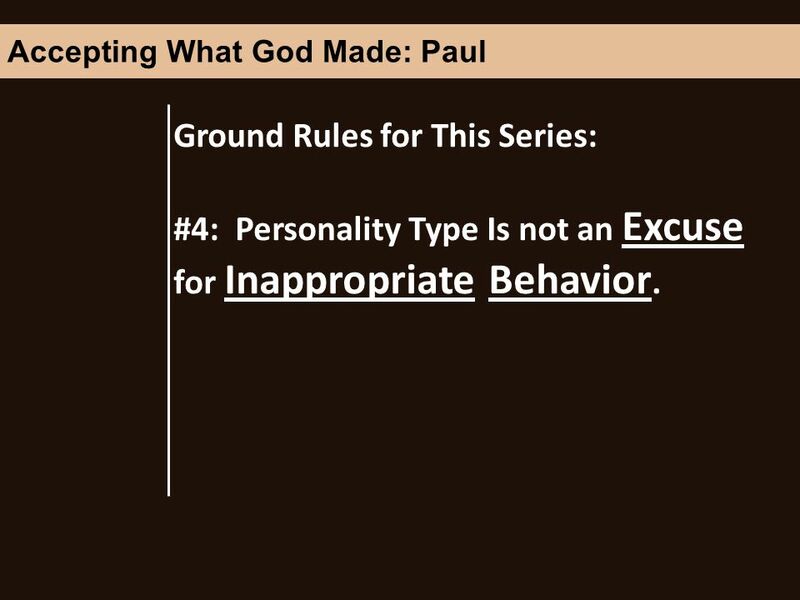 Sharing Your Testimony Acts 22:1-30 Message 7 in our 14-part series on the Acts of the Apostles. Sunday, August 17, 2014 Speaker: Stephen McHarg. S how Me the S avior Then I Shall See By Heather-Dawn Small General Conference Women’s Ministries. 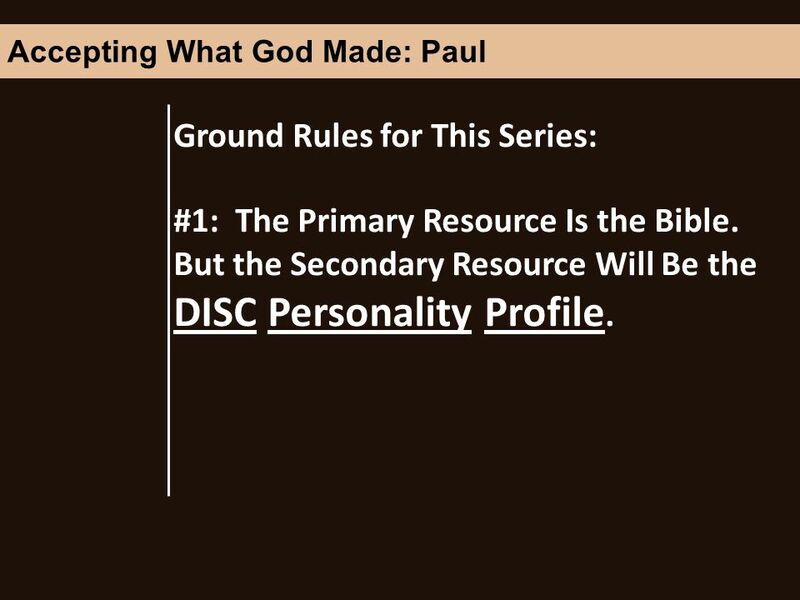 There once was a Jew, a Pharisee, a man by the name of Saul He had no time for Jesus Christ. He thought that he knew it all. The High Priest in Jerusalem. 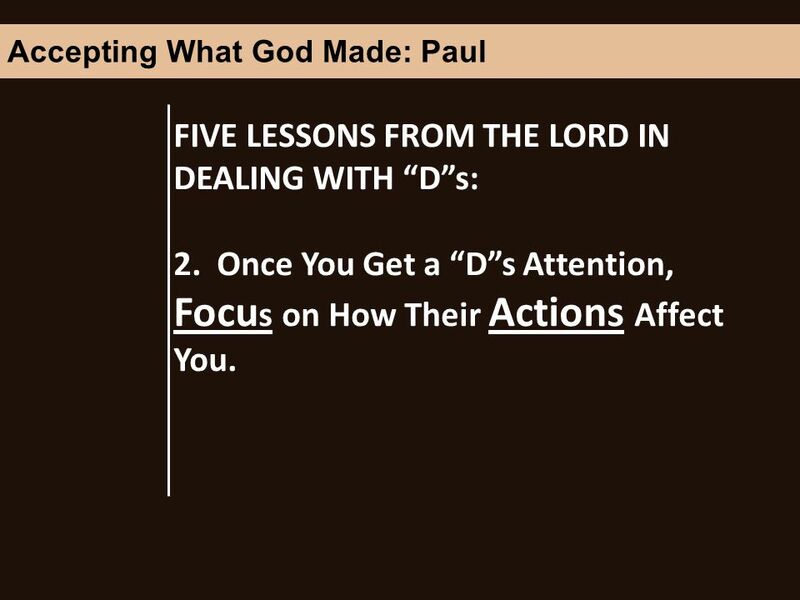 Developing a World-Changer Acts 9. Acts 17 6 And when they found them not, they drew Jason and certain brethren unto the rulers of the city, crying, These. 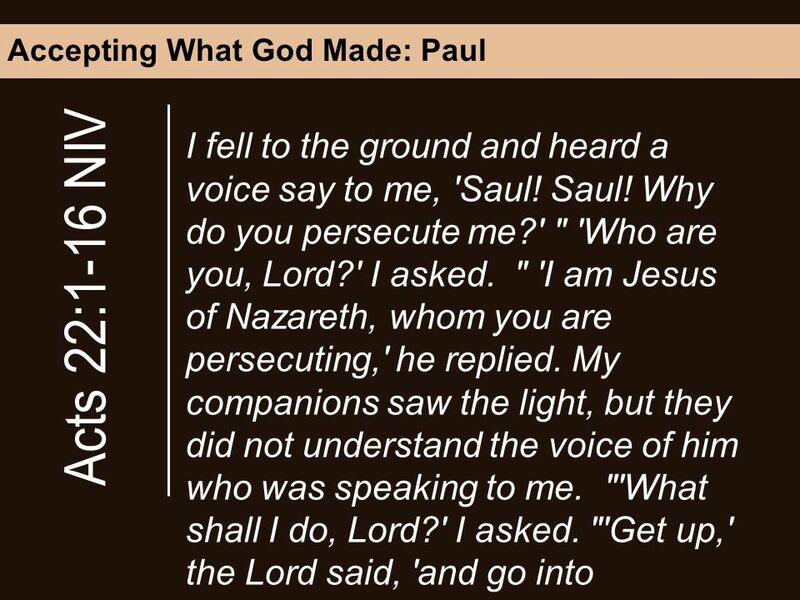 Acts 9 Acts 22 & 26. Convert  His father was a Pharisee  He was a Jew and a Pharisee  Born in Tarsus  Tribe of Benjamin. Paul’s Trials (Acts 25:1 – 28:31) Trefor Bacon. 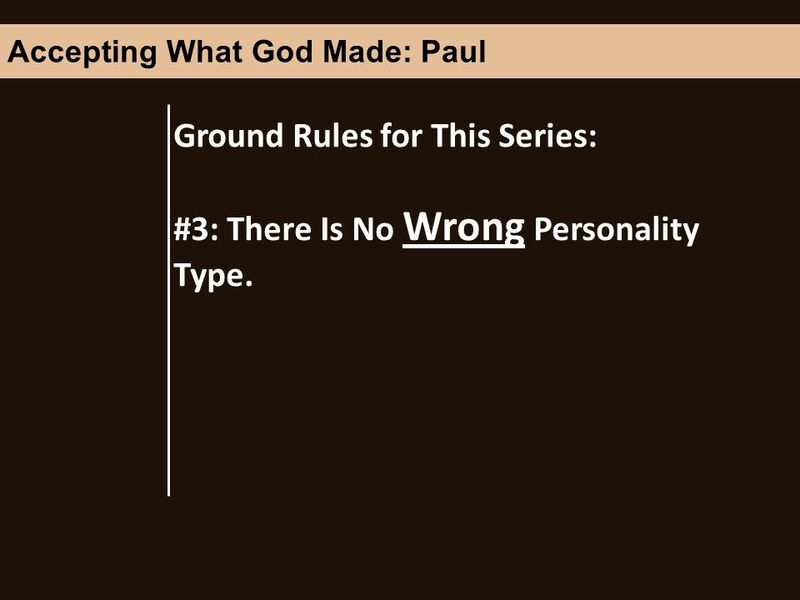 Paul’s Trials CHAPTER 25 Paul Appeals to Caesar (25:1-12) Paul before King Agrippa (25:13-27) CHAPTER. 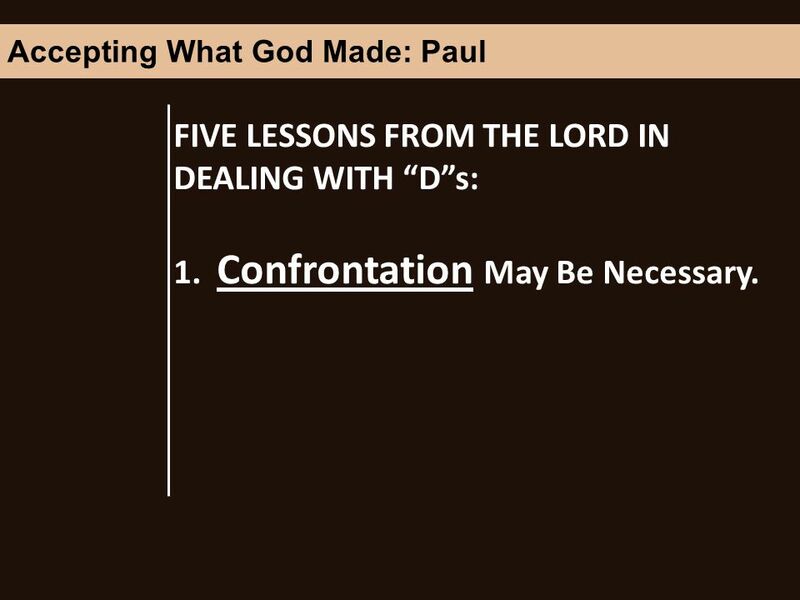 Book of Acts Chapter 22 Theme:Paul’s defense before the mob at Jerusalem. 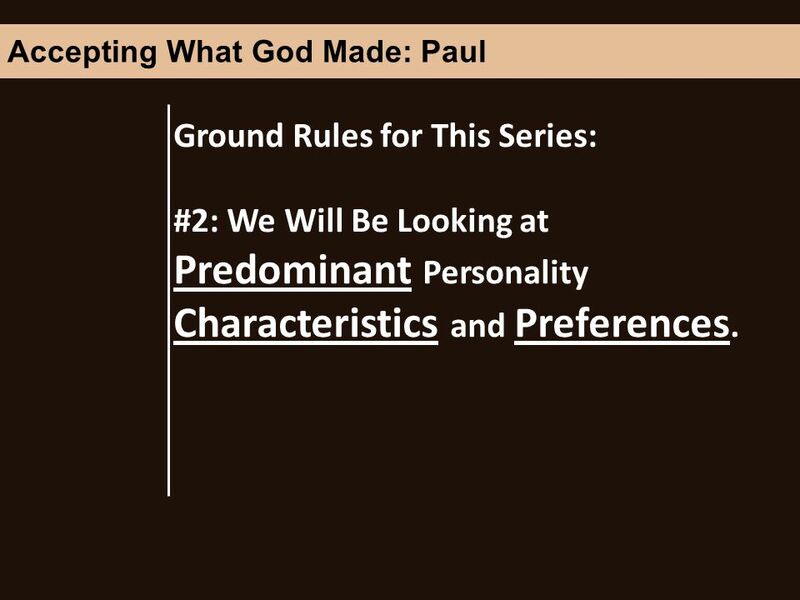 The Body of Christ – The Church Based on Alive-O 6: Term 2, Lesson 3 Refer to Teacher’s Book pp. 179-192 What am I trying to do? To explore the image of.